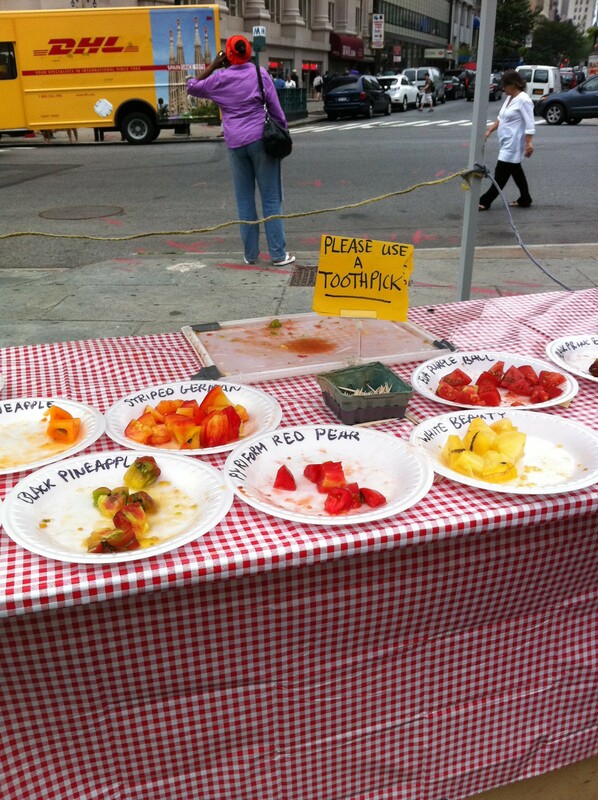 I set off to the farmers market to fetch some tomatoes when I was greeted by this amazing tasting table. While I gave nearly all of these beauties a try, I brought home heirloom green tomatoes for pickling. 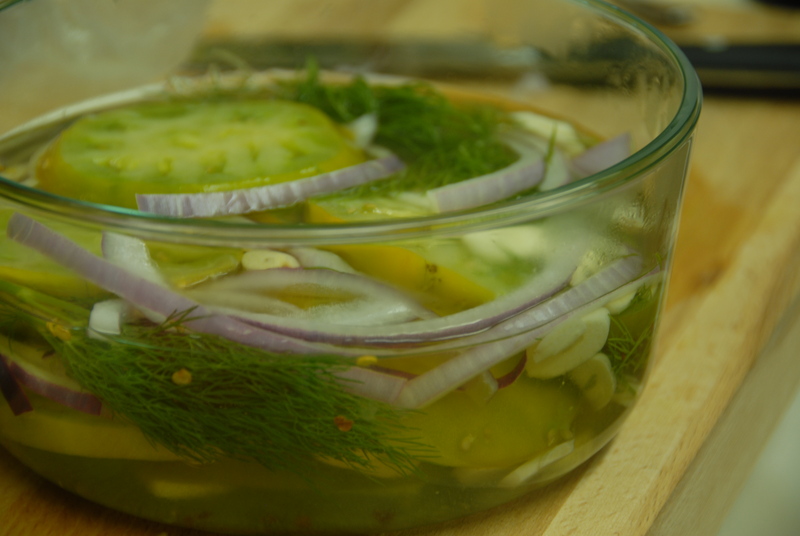 Place the tomatoes, onion, dill, garlic and red pepper flakes in a glass jar. Combine the vinegar, salt and sugar in a saucepan and bring to a rolling simmer. Remove from the heat when the salt is dissolved and then add the cold water. Once the mixture has cooled, pour over tomatoes. Cover and refrigerate. Allow the tomatoes to chill for at least one hour. Once your tomatoes have chilled and you’re ready for your sandwich, assemble like so – lightly toast the bread and brush it with olive oil and a bit of salt. Lay the mozz and a bit of lettuce down, a couple tomatoes and onions and you’re in business. 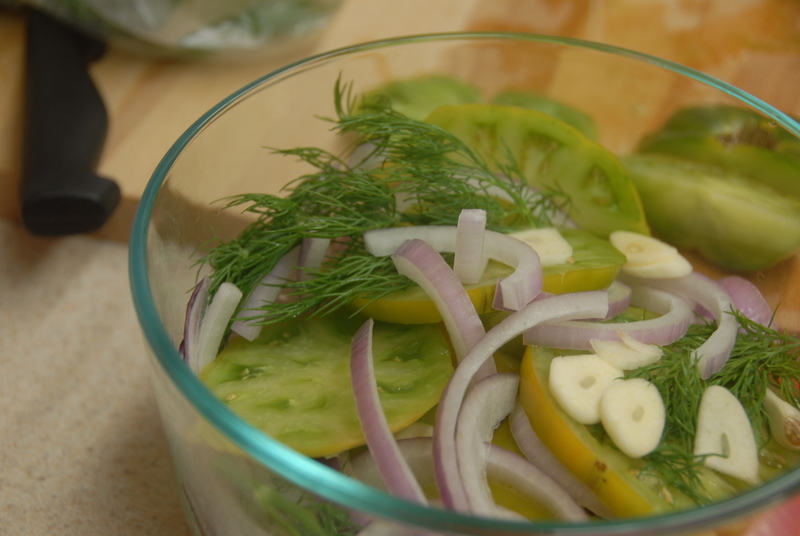 The pickling gives a tangy punch to an otherwise classic combo of tomato and cheese. 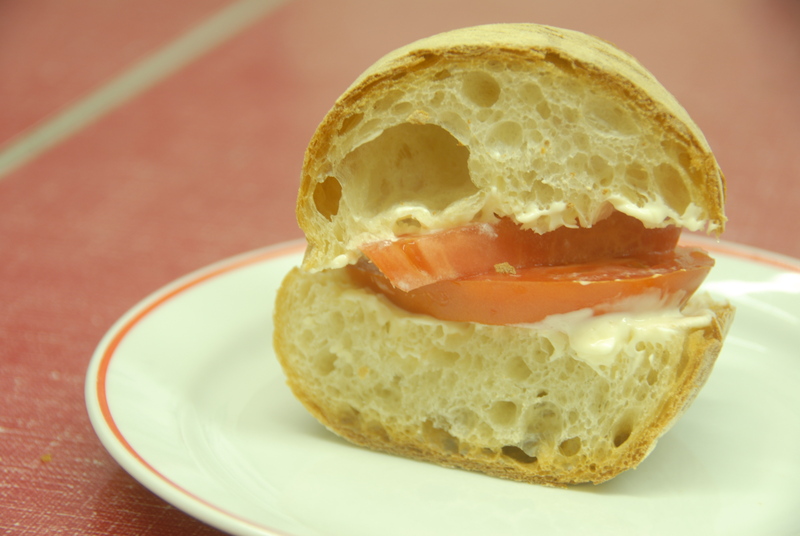 And since we’re on the topic of tomatoes, I simply have to share one of my favorite guilty pleasures: a simple sandwich made of ripe tomato, salt and mayo. No one said it would be sophisticated. But it sure is good. 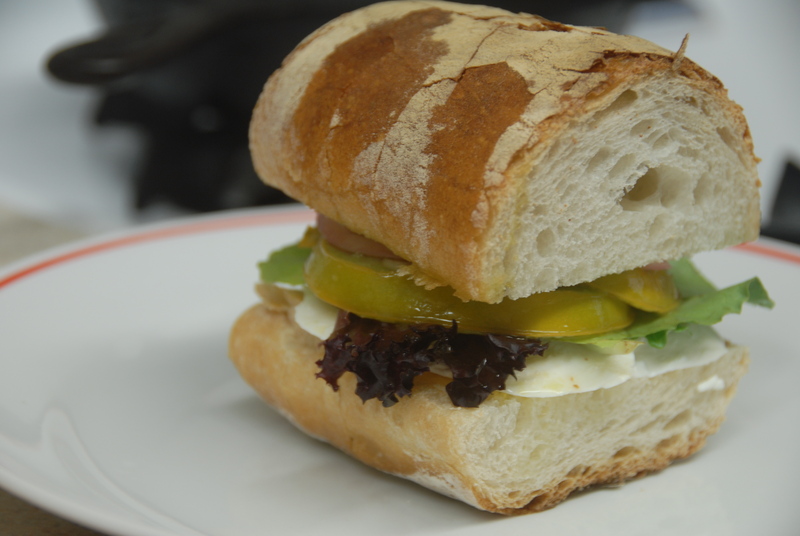 This entry was posted in Tomatoes, Uncategorized and tagged Bklyn Larder, cheese, dill, garlic, lunch, mozzarella, pickled tomatoes, quick, red pepper flakes, sandwich, tomato. Bookmark the permalink.